B104 is giving you a chance to ride the rails for a Chicago Getaway TIMES TWO! 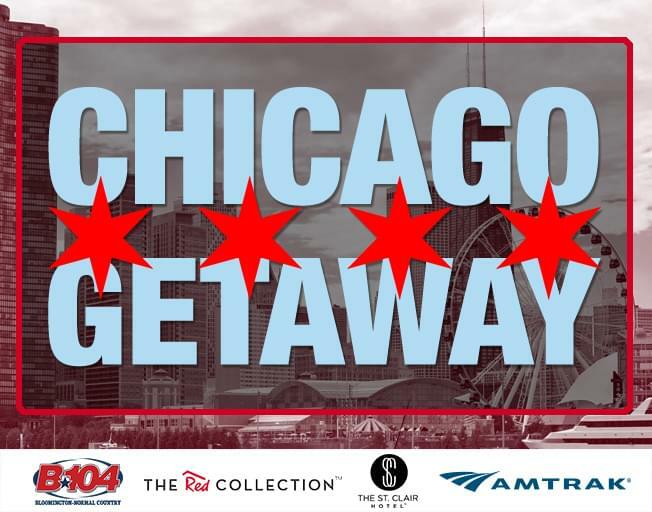 TWO B104 Insider Rewards members will win an overnight stay for two at the St. Clair Hotel in Downtown Chicago with transportation for 2 on Amtrak! Plus, we’re giving you TWICE the time to GET ENTERED TO WIN! Just REGISTER for your chance to win by 11:59 pm Sunday, January 6th. Monday, January 7th we will announce two winners of this amazing trip! The St. Clair Hotel, the first property in The Red Collection from Red Roof, is located on E Ontario St in Downtown Chicago and is only a block away from the Magnificent Mile! This would make a great gift for the special person in your life.The St. Clair Hotel is a premiere destination for shopping and dining. Register now with your Insider Rewards with Bloomington-Normal’s #1 Country, B104!